(see last issue for more) For more trailers, news and reviews, see our Facebook page. Victoria is increasingly becoming a location of choice for film and TV producers from around the country, and around the globe. The purpose built Docklands Studios Melbourne provide excellent production, construction, costume and sound facilities, and combined with the state's depth of acting talent, crews, post-production and VFX expertise, Victoria is a one-stop-shop for producers. It is the locations however that really clinch the deal. 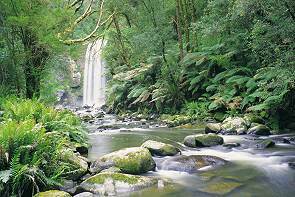 Regional Victoria's diverse landscapes double as the set for lands near and far, and their close proximity to the city means they are within easy reach. Melbourne too can (and does) act as a backdrop for period, contemporary and futuristic story-lines set in cities as varied as New York, Boston, London, Paris and Shanghai, thanks to its mix of historical and contemporary architecture. The Grampians stars alongside a stellar cast in the just-released Australian feature film The Dressmaker (screening nationally from 29 October, 2015). The film was shot on location in Horsham and Mt Rothwell Biodiversity Interpretation Centre with interior sets to match the locations built at Docklands Studios Melbourne. A cinematic adaptation of Australian author Rosalie Ham's bestselling novel, The Dressmaker was produced by Victorian Sue Maslin and directed by Jocelyn Moorhouse. Filmed in and around the Great Ocean Road town of Warrnambool, Oddball tells the true story of how maremma sheep dogs came to save Middle Island's little penguin colony from predatory foxes. The Roadshow Films feature stars Shane Jacobsen, Sarah Snook and Deborah Mailman and was released in September 2015. Private Melbourne school, Xavier College features in this Australian made drama, along with the suburb of Lower Templestowe and the city of Melbourne. 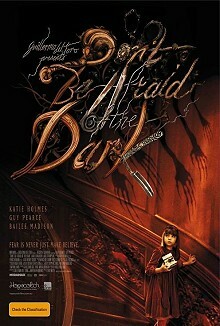 Starring Ryan Corr, Guy Pierce, Sarah Snook and Geoffrey Rush the film was released earlier this year to great acclaim. Portia de Rossi stars alongside Melbourne comedian and radio personality Hamish Blake, Robyn Butler and Lucy Fry in this November 2015 release Australian film. Produced by Gristmill, this film tells the story of a suburban family whose lives implode when their pop-star cousin comes to stay. A Universal Cable Productions series, Childhood's End is an epic US science fiction television mini-series based on a classic Arthur C. Clarke novel. The six-hour miniseries was filmed in Melbourne late in 2014 and will premiére on the US Syfy network in December 2015. This fantasy, adventure feature film, based on the award-winning novel by Vonda McIntyre was filmed on the stages of Docklands Studios Melbourne and at a range of locations throughout Victoria including Werribee Park Mansion. The Moon and the Sun stars Pierce Brosnan and was released at cinemas in earlier this year. Dev Patel (Slumdog Millionaire), Rooney Mara (The Girl with the Dragon Tattoo) and Nicole Kidman star in Lion, which was (mostly) filmed on location around Melbourne and at Docklands Studios. Directed by Victorian Garth Davis the film is based on the book A Long Way Home which tells the true story of a young Indian boy, Saroo Brierley, who is adopted by Australians. Lion is set for release in January 2016. US cable television series Hunters was filmed in Melbourne in 2015. The 13 episode series was filmed at Docklands Studios and various Melbourne locations. Produced by Universal Cable Productions in collaboration with Melbourne-based company Matchbox Pictures, Hunters is based on Whitley Strieber's best-selling novel Alien Hunter about a secret government unit assembled to hunt a group of ruthless terrorists -- that may or may not be from this world. Hunters is scheduled to premiere in the US on the SyFy Channel in 2016. Flickerfest is Australia's largest short film competition and the only one with Academy(R) accreditation and BAFTA recognition ensuring all of our films are entertaining, inspiring, highly creative pieces of work. 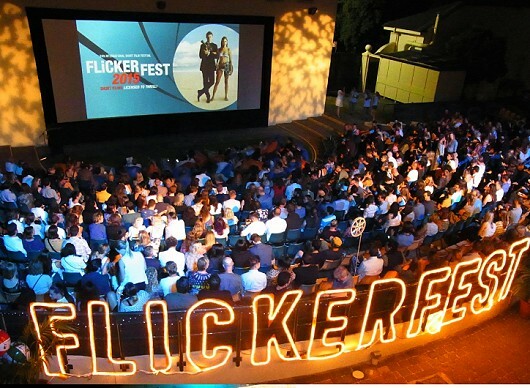 In 2015 Flickerfest will watch over 2,400 entries from all around the world and hand pick 100 of the very best, most innovative, provocative and hugely entertaining shorts. After the festival in Sydney Flickerfest will share the short film love on tour to over 50 venues across Australia between January and May. Watch here or our Facebook page for more giveaways as they are released. January 31, 2016 3 p.m. Thanks to Cinema Nova in Carlton, we have TWO double passes to the picture panel discussion and screening of Room. Film screening and panel discussion on both Emma Donoghue's novel and the film adaptation of ROOM. Featuring Jo Case, (Melbourne Writers Festival Program Manager), Melanie Joosten (author of Berlin Syndrome), Amy Vuleta (Readings bookseller and literary critic) and hosted by writer, poet and broadcaster Alicia Sometimes (774 ABC and 3RRR). 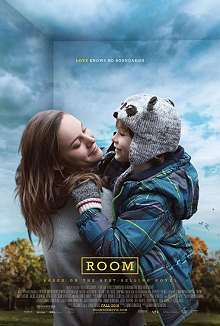 Winner of the People's Choice Award at the Toronto International Film Festival, and from director Lenny Abrahamson (Frank) as adapted from Emma Donoghue's acclaimed novel, ROOM is the extraordinary story of Jack, a spirited 5 year-old who is looked after by his loving and devoted Ma (Brie Larson). Like any good mother, Ma dedicates herself to keeping Jack happy and safe, nurturing him with warmth and love and doing typical things like playing games and telling stories. However, they are trapped in a windowless, 10-by-10-foot space, which Ma has euphemistically named "Room." As Jack's curiosity about their situation grows, and Ma's resilience reaches its breaking point, they enact a risky plan to escape, ultimately bringing them face-to-face with what may turn out to be the scariest thing yet: the real world. Closed: Winners have been notified. Studio Canal have sent us 5 in-season double passes to see Youth in Australia. Youth is Italian director Paolo Sorrentino's second English-language feature film. Its star-studded cast ... includes Michael Caine, Harvey Keitel and Rachel Weisz (of The Constant Gardener fame). Preview tickets to the film "Youth"
In Last Cab To Darwin, Jeremy Sims (Beneath Hill 60) directs Australian acting legends, Michael Caton and Jacki Weaver against the backdrop of the stunning Australian outback and alongside the outstanding Mark Coles Smith, Ningali Lawford-Wolf and Emma Hamilton. Caton gives the performance of a lifetime as Rex, a Broken Hill cab driver who, when told he doesn't have long to live, sets out on an epic journey to Darwin in a bid to die on his own terms. 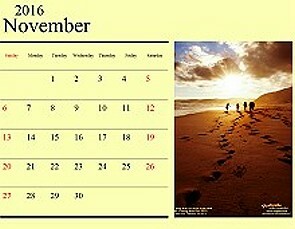 Along the way he discovers that before you can end your life you have to live it, and to live it you have to share it. Filled with hope, humour and heart, Last Cab To Darwin takes us on a journey on BLU-RAY, DVD and DIGITAL from December 9, 2015, reminding us that it's never too late to start living. You can enter once per day. Just give your contact details and click through and click on the "ENTER" button. Entries close at midnight 8 December, 2015. You must be able to give an Australian postal address to win. Australian readers, get your FREE double passes to see the Lance Armstrong biographical movie. Just log in (so we can contact you), click through, and hit the Enter box on the next screen. Entries close midnight November 22, 2015.